Dauphin County Nannies represented by ABC Nanny Source have verified credentials and a sincere love for children and the nanny profession! 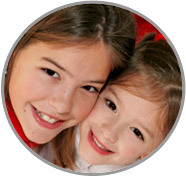 Dauphin County Nannies with such vast nanny backgrounds as Diane’s abound at ABC Nanny Source! Please call 717-221-1020 today to speak with a placement counselor and start your search among the perfect Dauphin County Nannies!